It was a case of tunnel vision for 3,000 runners last Sunday when they took on the annual challenge of running through the Mersey Tunnel. The 11th BTR Mersey Tunnel 10K sold out for the second year. The race started in Liverpool city centre and finished in New Brighton – with the unique tunnel part of the race between. The sun shone, thousands of spectators turned out to support the runners as they headed to Ian Fraser Walk – and the race winner set a new course record. 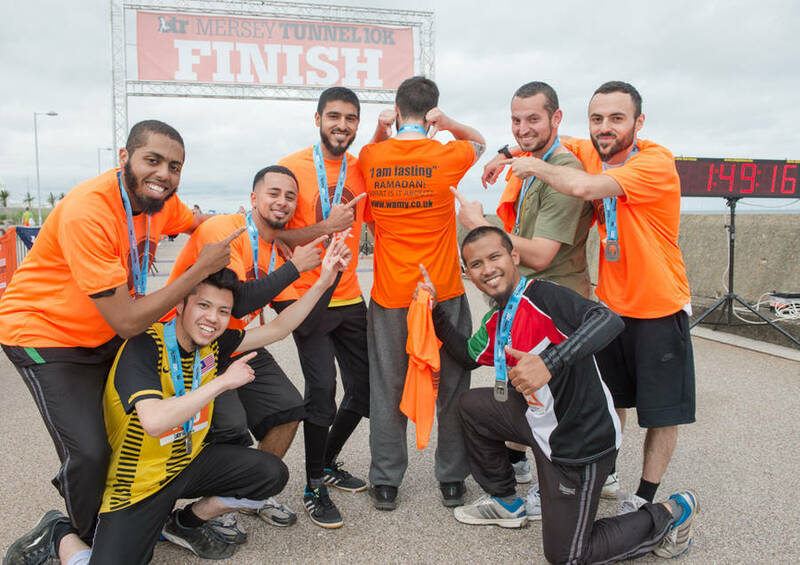 The annual event is organised and delivered by race organisers BTR Liverpool, whose portfolio also includes the Vitality Liverpool Half Marathon; Wirral Half Marathon/10K; Liverpool Santa Dash; Tour Of Merseyside; and the Merseyside Running Community Awards. The Mersey Tunnel 10K was brought back in 2006 at the request of the Mersey Tunnels with BTR taking on the mantle. It continues to grow in popularity and is one of the most unique events in the race calendar – being the only time runners can actually run underneath the River Mersey. Runners set off from Blackstock Street in Liverpool city centre before making their way into the Kingsway Wallasey Tunnel. After emerging from the tunnel, they then took a route along the picturesque Wirral seafront from Seacombe, past Fort Perch Rock and the Marine Lake, before arriving at the grandstand finish area on Ian Fraser Walk in New Brighton. The BTR Mersey Tunnel 10K 2016 was won by 23-year-old Ethiopian runner Dejene Gezimu from Liverpool Harriers AC with a time of 30:52 – setting a new course record by 24 seconds. The previous record was 31:16, held by Taurus Ely from Salford Harriers. Dejene is from Bekoji in Ethiopia, where some of the finest distance runners in the world also originate from. He has been in Liverpool for 18 months learning English, and he is very keen to settle in the city. Winning the BTR Mersey Tunnel 10K means that Dejene has won the last four BTR races back-to-back – Wirral 10K in September 2015 (30:58); Vitality Liverpool Half Marathon in March 2016 (1:06:58); and the Port Sunlight 10K in April 2016 (30:18), when he also set a new course record. The first female finisher was Helen Sahgal from Mersey Tri with a time of 38:35. Helen is also a regular finisher on the BTR podium – she took second place at the Port Sunlight 10K in April. It was an extra memorable day for two runners, with wedding bells in the air. Abir Ali from Moreton ran the race just hours before getting married. This was the fourth time he has completed the Mersey Tunnel 10K. He ran wearing a shirt, tie and buttonhole flower – with a personalised ‘Groom’ race number featuring the special date ‘1906’. He finished the race in 48:31. Louise Thomas from Liverpool Running Club gets married this Wednesday (22 June). She wore a tutu in her club colours, veil and crown for her last race as a single lady! Louise also had a personalised race number reading ‘Bride To Be’. Her mum Janet, from the Kirkby Milers, also got into the spirit of the day and wore a ‘Mother Of The Bride’ sash. Louise’s race time was 57:00. BTR Race Director Alan Rothwell commented:“What another incredible turn-out. The Mersey Tunnel 10K is a favourite race for many people, as it is the only chance you have to run through the tunnel. And there’s no better way than with fellow runners, having a great day and collecting a special bespoke medal and commemorative T-shirt to mark the occasion. Thank you to everyone who took part. “Congratulations to Dejene on his Tunnel 10K win. He’s now won the last four BTR races and also set two course records. What a fantastic talent, he’s definitely one to watch in the running community. It was a very special day for many runners, who all have a story as to why they are running. Abir and Louise both had a great day, we’re delighted they chose to make the Tunnel 10K part of such a special time of their lives, and we wish them and their respective partners every future happiness. The race attracted runners from overseas, with people travelling from Finland, Germany and Switzerland to take part. Eddie Naisby, aged 88 from Ruthin, Wales (Prestatyn RC), with a finish time of 1:10:59. The BTR Mersey Tunnel 10K was the latest event in a year-long joint fundraising partnership between BTR Liverpool and its three official charities. The BTR Footsteps Fundraisers initiative brings the charities together through BTR’s key race events by encouraging participants to fundraise and support them. Funds raised will be split equally between the three charities – Radio City’s Cash For Kids, Everton in the Community and Zoe’s Place. The next event in the BTR portfolio is the Tour Of Merseyside – six races over seven days covering 52 miles. The Tour Of Merseyside (3 to 9 July) is limited to 300 places and sold out in just eight hours. This is followed by the BTR Kids’ Fun Run series on 4 September. It returns for a second year in a new location of Hoylake with 1K, 2K and 3K distances. All youngsters taking part will receive a medal, T-shirt and goody bag.